Looking for a fun, exciting activity for your kids? Check out our kid’s martial arts program! 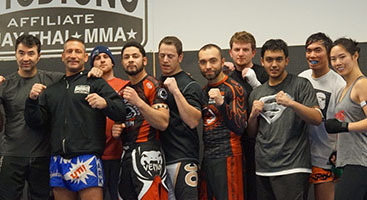 At Integrated Martial Arts, we believe that the foundation of martial arts training should be a broad one. 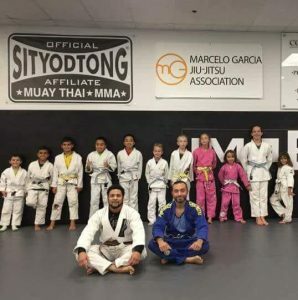 Our children’s martial arts classes draw upon the same great sources for striking, grappling, and self-defense as our adult classes, but provide that training in a single, integrated format designed specifically for a younger audience. 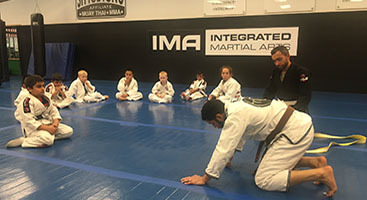 Students will learn grappling from Brazilian Jiu-jitsu, striking from Muay Thai, Taekwondo, Karate, Hapkido along with self-defense and anti-bullying skills, all in a format that is fun and safe for kids of all ages. Martial arts for kids offers a way for your child to grow not just physically, but as a complete human being. Contact us today to learn what our kids’ martial arts program can do for your child.